Advancement of micro-joining methods has become an essential prerequisite in the manufacture of micro devices at ever smaller scales. For complex environments, micro joints must possess comprehensive mechanical quality and stability. Micro resistance spot welding has thus been identified as a promising technology in industrial applications. 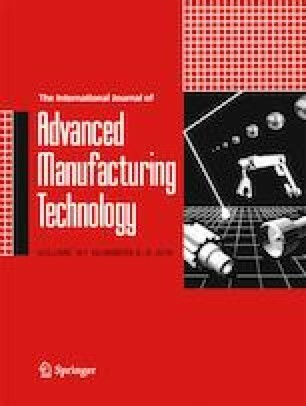 In this study, multi-objective optimization during welding of ultra-thin Ti-1Al-1Mn foils was investigated. The experiments, based on the Taguchi L27 orthogonal array, examined the effects and interactions of process parameters (ramp time, welding time, welding current, and electrode force) on important characteristics (tensile-shear force, weld nugget size and failure energy, and their variances). The hybrid optimization approach, comprising principal component analysis and gray relational analysis, was used for data processing, whereupon a back-propagation artificial neural network was used to establish a predictive model, taking advantage of a genetic algorithm to find the optimal parameters. The optimal set of welding parameters was found to be a ramp time of 2.7 ms, a welding time of 6.8 ms, a welding current of 800 A, and an electrode force of 31.6 N. Experiments validated the feasibility of the hybrid optimization approach, and an improvement of each response was found under the optimal welding conditions. This work was supported by the Postgraduate Research & Practice Innovation Program of Jiangsu Province (grant no. KYCX17_0285). The authors were financially supported by the China Scholarship Council (grant no.201706830035).